It has come down to this, ladies and gentlemen! The Reel Rhino's TOP 10 of 2010. Truth be told, I am as exited as you about the year that was. But the past is the past, and I am already way into the 2011 offerings Nighty night 2010, its time to go to bed. But before that, I did have the chance to see THE GREEN HORNET. This is a film that I have been worried about for some time with all of the pre-production woes. What I do know: I like Seth Rogen and I have liked everything that he and Evan Goldberg have written over time. That said, I thought this film was rather underwhelming. The 3-D effects were enjoyable and I thought it was generally speaking, very well made...but something was missing. Christoph Waltz was brilliant, but something tells me he will be brilliant in any role he tackles for the rest of his life. I wanted to believe in Seth Rogen as the fat guy turns superhero as that is also my #1 fantasy, being a fellow 'fat guy' myself. (No offense Seth...I am only playing on your self-spoken portrayal that you have given yourself in the past.) Rogen handles the comedy with ease, but I think this film will not entrench him the world of action hero fare, but I guess it is a start. Jay Chou is a bright spot also, as he is one hell of a fighter. His role as Kato is complex and perhaps the most interesting to see on screen. This was due in part to the 3-D fight scenes that were shot with some artistry. For a real treat, stick around for the third song in the credits, the song "Nun-chucks' is sung by Chou himself. Bruce Lee he is not, but he was still fun to watch. To say this film disappoints seems confounding as this is the work of Michel Gondry...his artistic touch was supposed to whirl this flick into a gem. Eternal Sunshine of the Spotless Mind, The Green Hornet is not. I can't say that it strikes me as anything more than just watchable fare, but I guess it is at least that. A non-factor in this flick is the completely adequate Cameron Diaz. She doesn't shine in this role, but she doesn't fizzle. She just IS. I think her character was built to be expanded on in a sequel, but unfortunately, I don't know if The GH this is going to do well enough to get one. 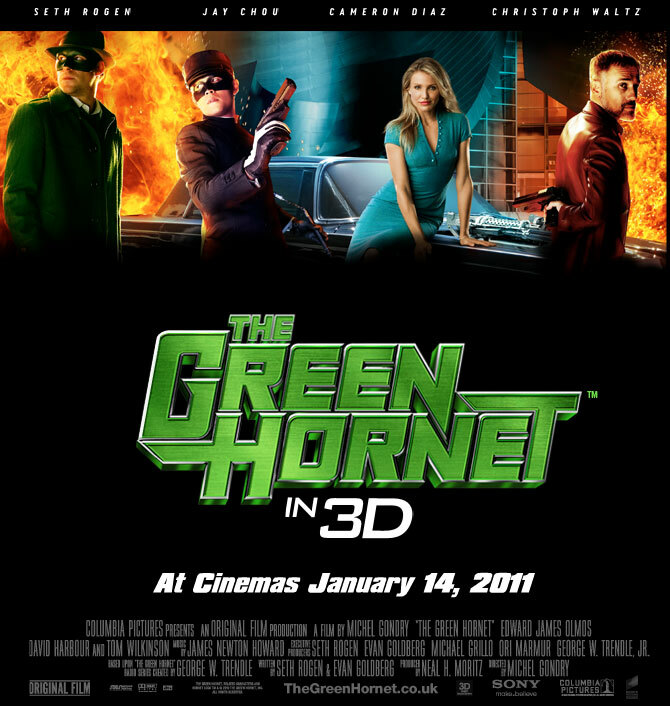 The Reel Rhino gives The Green Hornet a 3 of 5 horn rating. I am hoping a second viewing when this hits on-demand raises my opinion of it, even though an in-home viewing will be without the 3-D (unless I win the lottery between now and then). There were a few funny moments and some generally enjoyable scenes, but as a whole it is just plain lackluster. Enough about The Green Hornet...let's get onto the creme de la creme of 2010. True cinema joy in so many different ways. Let's get it on! This movie is terribly underrated and absolutely hilarious. I don't know how it was so poorly received, as it is the funniest offering of 2010 in my book. 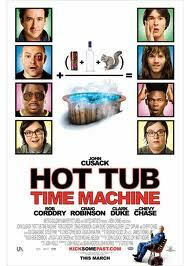 John Cusack was the perfect lead for an 80's parody and Craig Robinson, Rob Corddroy, and Clark Duke were a great supporting cast with super cameos by Chevy Chase and Crispin Glover (you know...McFly...hello McFly...hello!). I have seen this four or five times with different people each time over the past year and the result is the same every time: pure hilarity. WHY WAS THIS MOVIE GREAT? WINTERFEST, Leg Warmers, Poison, Walkmans, and more. A true story told very well. David O. Russell did a wonderful job piecing together this 1990's boxing family drama. Christian Bale is stellar and all around, it may be Mark Wahlberg's best performance to date. The show stealers were the ladies of The Fighter. Irish Mickey Ward's sisters add well-delivered comic relief and Melissa Leo as Mickey's Mom as well as Amy Adams as Mickey's best girl....they were all spectacular. I am smelling Oscar Nom! This movie is not Rocky 7, so worry not. It is the heartfelt tale of the underdog, and for the first time in a long time, they got it right. WHY WAS THIS MOVIE GREAT? Unlike any of the Rocky films, this is a true story of two brothers. It is the non-fictional aspect that makes this so compelling. I have two words for you: CAREY MULLIGAN. The fresh faced Mulligan owned this movie and it is loaded with stars and is well worth the price of admission. Mulligan plays naive like she was born to be the innocent face she portrays with great mastery. Perhaps its authenticity is due to her own youth and her getting truly getting her first taste of the big time in the Hollywood sense. Whatever it it, she channelled the complexities of being a high school aged girl perfectly. WHY WAS THIS MOVIE GREAT? Carey Mulligan. 'Nuf said. 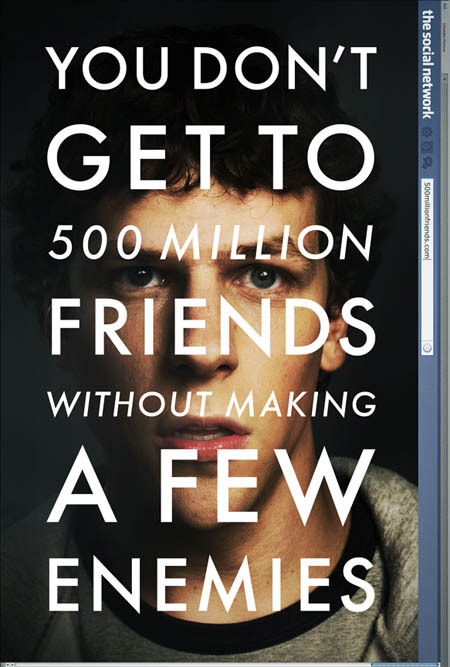 David Fincher took Aaron Sorkin's words and wove together a masterful shot film. Jesse Eisenberg has earned his wings, and to boot, we got our first look at the new Spiderman, Andrew Garfield! I love facebook...heck, maybe you were directed to this post from there. To see its roots forming was well worth my money and that it was a great movie, was just a huge bonus. I thought the idea was silly, but I was wrong. Maybe that Google movie won't be so bad after all? WHY WAS THIS MOVIE GREAT? Because who, I repeat WHO, doesn't LOVE Facebook. Can I get an AMEN? This was just a near perfect ending to a great trilogy. 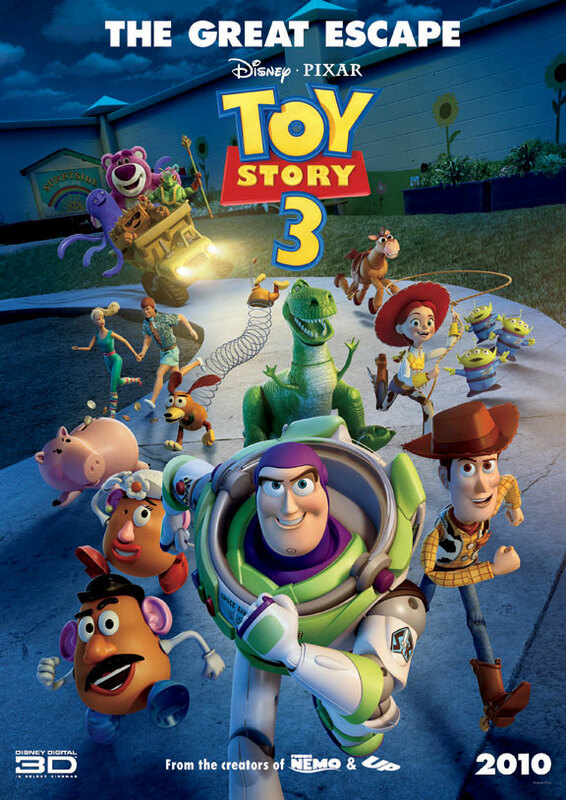 I know they have said that this is it for the Toy Story series, and I second that emotion! Let this series end on this masterfully played note. With themes of friendship and the effects of growing-up and moving on, this is the perfect family movie...kids or no kids, it will resonate with everyone. WHY WAS THIS MOVIE GREAT? This film completed the trilogy doing what many film have tried, but always seem to fail: the perfect trilogy of THREE GREAT FILMS! I walked out of this film in pure wonder. First, I was speculating on the fate of our young heroes. But more so, I was floored at how well a movie with less action that I expected, kept me on the edge of my seat for the whole span of the film. What's next after the HP series for these young stars is unsure; but at this point, all I really am concerned with is what happens in Pt. 2? Don't miss part one so you are fully up to speed. Go back and watch the first six films for a refresher on all things Hogwarts. WHY WAS THIS MOVIE GREAT? Because even through those awkward years, our trio has aged with grace and made me care for them more with each passing film. Even though they ditched the 3-D for this outing, I applaud them for keeping true to the art rather than yielding to a payday. At least it was in IMAX and everything is better in IMAX! James Franco may be my new top-hetero-man-crush (sorry Ryan Reynolds!). There is no role that he can't play! Danny Boyle went with a smaller indie project after dishing us a full-serving of beautiful film with Slumdog Millionaire. The premise of 127 Hours is widely known due to the fairly recent passing of real-life events of our main character, canyoneer Aron Ralston. Even knowing the ending, the execution of the action inter-cut with his flashback-like scenes is brilliant. The score is brilliant. Most of all, Franco is brilliant! 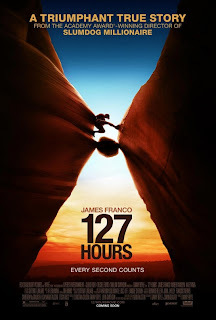 Franco becomes Aaron Ralston and Aron Ralston is a true hero who championed the survival of the human spirit. His ability to live through such a traumatic event is noting short of inspirational. WHY WAS THIS MOVIE GREAT? When I left the theater, I truly believed there was no obstacle I could not overcome. Any movie that can move me in that manner deserves to be on this list (see also: INTO THE WILD). 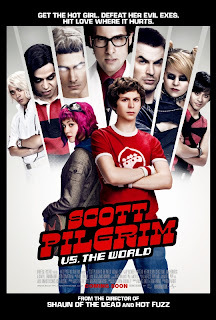 I loved this movie and I feel that Edgar Wright is a genius! Keeping relatively close to the original source material, Wright gives us the best possible movie we possibly could have expected. It looks beautiful and the use of musical material gave us both a hip soundtrack and another dimension to the visual presentation. The roles are beautifully cast and while Michael Cera is an odd choice for a superhero, it just works perfectly. This movie hits the mark on every single homage (and parody) that it throws at you. WHY WAS THIS MOVIE GREAT? A stylistically original film that featured great effects and a faithful and enjoyable adaptation from the graphic novels. Not since the drastically underrated WATCHMEN has a graphic novel jumped to life with such vivid appeal. I have mentioned above that some of these films are near perfect. 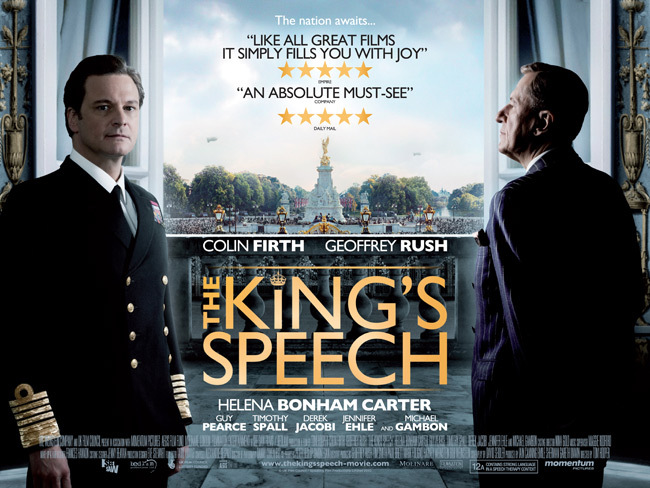 THE KING'S SPEECH is PERFECT! This movie had me at hello and there was not a moment that passed that didn't have my eyes glued to the screen, waiting to see how things would turn out. Go and see this movie. Drink it all in and then go and read the Wikipedia page, for everything you learn about this extraordinary set of events is fascinating. WHY WAS THIS MOVIE GREAT? 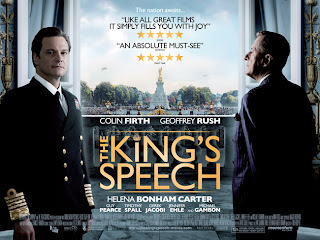 Geoffrey Rush and Colin Firth and the firework-like chemistry that existed between them. Helena Bonham Carter also shines. This too was a perfect movie for me. I saw this three times on the IMAX screen and I loved every viewing, learning more each time. Christopher Nolan is my favorite of today's directors, with David Fincher pulling in a close second. 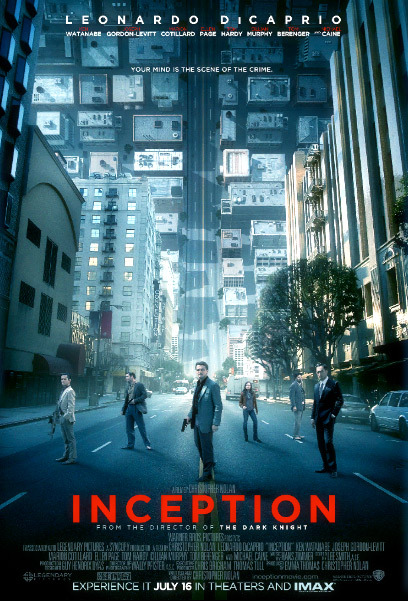 Inception was an earth-based (well fantasy-dream based) epic with great mind-bending maneuvers and a bit less cheese than you might normally find in Blockbuster fare. Leonardo DiCaprio embodied the pained reluctant hero and hero may not even be the correct word, as his motivations are self-serving from start to finish. Some say that this film is too complex. I disagree. Christopher Nolan as disguised the most cerebral film of 2010 in what we would usually consider a popcorn-eating romp. WHY WAS THIS MOVIE GREAT? A beautifully shot and perfectly-executed screenplay. Also, TOM HARDY. Period. A great performance among great performances. There you have it...2010 in a nutshell. 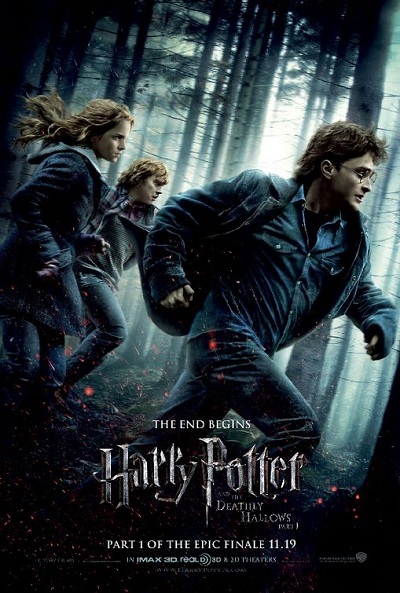 Here's to a great movie-going 2011. Drop me a comment if you like and let me know what you think, where I was wrong (as you see it) and what you felt was the best of 2010.